Some of you will surely remember my green Christmas wishlist. Well, I am happy because I succeeded in having a few green items I really wanted, especially the trendiest winter coat of the moment: a Parka jacket !. I've been obsessing over getting a warm Parka, an iconic jacket that would be stylish and comfortable at the same time, and finally I found it. What do you think about it ?. This jacket is from a brand called Campo V and their Parka is called Sherpa 1953, it's been inspired by the great accomplishment happened on May 29th, 1953, when Sir Edmund Hillary and Tenzing Norgay reached the summit of Mount Everest, 29.028 feet above sea level, the highest spot on earth !. Alcuni di voi avranno letto la mia wishlist verde di Natale. Beh, sono felice perché sono riuscita a fare miei alcuni articoli "verdi" che volevo molto, specialmente il giaccone invernale più trendy del momento: il Parka !. Continuavo a pensarci, dovevo assolutamente trovare un Parka che fosse caldo, stiloso e confortevole allo stesso tempo e l'ho finalmente trovato. Che ne pensate ?. Il Parka è del brand Campo V, si chiama Sherpa 1953 ed è stato ispirato dalla grande impresa di Sir Edmund Hillary che, con Tenzing Norgay, il 29 maggio del 1953 raggiunse la cima del Monte Everest, a 29.028 piedi sul livello del mare, il punto più alto della terra !. Another new entry in green is the bag you see, a green leather Prada duffle, a very special present I got that I love so much !. You can see it better in the pic below. I matched the bag with brown Arfango ankle boots that have been waiting in my shoe closet for a long time. This time I opted for a casual look, but I've seen the trend is wearing the Parka also with more elegant outfits, I am gonna try this for sure !. Un'altra new entry in verde è la borsa che vedete, un bauletto in pelle martellata, un regalo speciale che mi piace tantissimo !. Potete vederla meglio nella foto sottostante. Ho abbinato la borsa a stivaletti marroni di Arfango che attendevano di uscire con me da un bel po' di tempo. Per questa volta ho scelto un abbinamento casual ma il trend del momento è abbinare il Parka anche ad indumenti più eleganti, proverò senz'altro anche questa versione !. The sweater I am wearing underneath my Parka is from Northland and has loads of colors, as well as being pretty warm. The Missoni scarf is quite an old purchase. Since I have my walk in closet I find things much more easily and I am so pleased with that !. Il maglione che indossavo sotto al Parka è di Northland ed ha tanti colori vivaci oltre ad essere piuttosto caldo. La sciarpa di Missoni è un acquisto abbastanza datato, l'ho ritrovata facilmente grazie alla cabina armadio, da quando l'ho organizzata trovare le cose è molto più facile e ne sono felice !. When the air got more fresh, I was ready to wear a burgundy beanie. I have to confess I always have a beanie inside my bag when it's winter. I like to feel warm and also to get ready when the weather is humid !. This bonnet is from Scotch and Soda, same brand as Maison Scotch and I have decided to buy it for myself even tho I found it under the male side, cause beanie hats are just a unisex item !. Dressed this way I feel ready to live an adventure, not on Mount Everest but in a few shops, for sales hunting ! I think it requires strenght and courage, anyway, don't you ? :-P.
Quando l'aria si è fatta più fresca, ecco comparire un cappellino a cuffia bordeaux. Confesso di avere sempre un cappellino di questo genere in borsa, in inverno. Sono freddolosa e inoltre mi piace essere pronta ad ogni evenienza, incluso il tempo umido !. Questo cappellino è di Scotch & Soda, stesso brand di Maison Scotch, e ho deciso di prenderlo per me sebbene trovato nel reparto uomo perché questo tipo di cappelli sono decisamente unisex !. Vestita così mi sento pronta per un'avventura, non sul Monte Everest ma nei negozi per un po' di caccia ai saldi ! Credo che sia un'impresa che richieda forza e coraggio comunque, non credete anche voi ? ;-P.
Don't forget about the amazing giveaway going on, right to celebrate the New Year, up now until January 8th ! Only a couple of days ! You can win a $100 gift card on Shopbop.com to buy whatever you want to, you find all the rules and the form to enter clicking here !. Good luck !. VERY cute coat! The color is amazing! You look totally gorgeous! Parka looks great!! !Thanks for sharing such a nice post! Ecco qui il Parka! E' davvero molto bello! Perfetta la borsa! Your parka looks amazing! Love it! Carinissimo questo parka. Mi piace! Lucky you! Want the same bag!!! The color is just amazing! You always wear stunning bags! Ma ti sei documentata anche sul parka, sei un mito! Che favola la borsa! sono quasi 3 anni che indosso il parka e mi ci trovo benissimo, anche perchè, a mio parere, sta bene sia che ci si voglia vestire un po' "street" e sia che ci si voglia vestire un po' più elegantine!! nice look girl..! thanks for your visit! p.s. 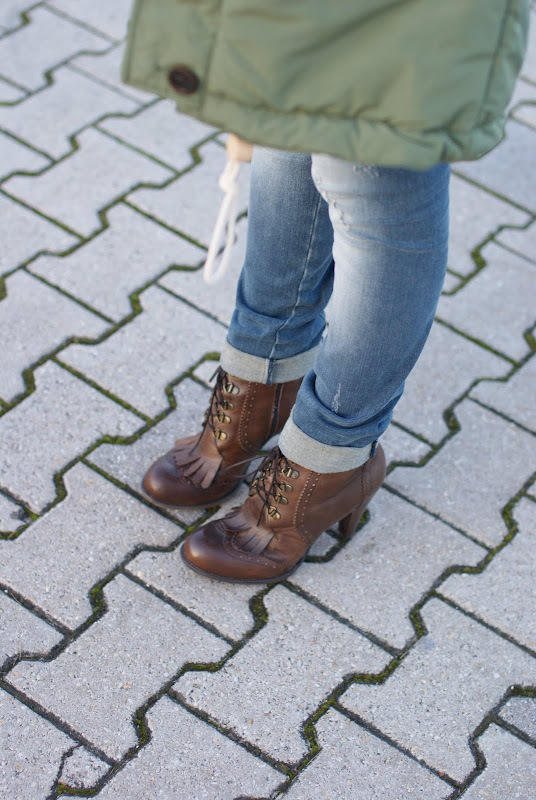 i followed you via bloglovin :) thanks for your support and i hope to see many more wonderful outfits! thanks for leaving your blog link on my blog! I'd love to follow each other. I really like it and I'm now following you on GFC and bloglovin. Love you sweater!!! Nice blog!! I've been wanting a Prada bag for so long!!! Looks great on you!!! u look cool in that hat, and those shoes are just perfect with this jacket !! AWESOME parka and the bag is to die for! Very nice parka to add to your green wishlist. Bellissimo questo parka!Ne sto cercando uno anche io!! Ci seguiamo a vicenda? 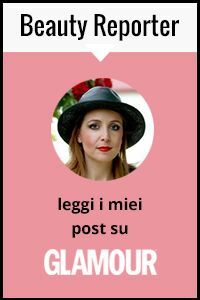 http://thefashionpancake.blogspot.it/ ti aspetto! che bello questo parka!! !mi piace molto un bacione!! Parka meraviglioso (; Reb, xoxo. Thank you for visiting my blog. Yes I would love if we followed one another. I'm now following you via GFC, Bloglovin and Facebook. I look forward to your support back. Il parka ti sta benissimo, al contrario di come sta a me!! Brava Vale che hai trovato quello che cercavi, io sto disperatamente cercando una mantella o cappa color cammello e non la trovo....arghhhhh, se la vedi fammelo sapere!! Thanks for your comment on my blog adn yes i'd love to follow eachother. I'm already following so if you'd like to follow back? La borsa è troppo bella! Ohh, cool, very cool shoes! I love that kind of fringe (does it have a name?)! I just followed you on Bloglovin and GFC. LOVE that Prada bag. Oh my. I equally love YOUR coat <3 I've always wanted a military jacket...either theyre too pricey or just not how I picture them. We ransacked the internet to find the top winter boots of 2018. ... pairs of insulated winterhiking boots that we tested for this review are ideal. Why is a warm boot generally faster for walking than a cold boot?